The Women’s Volleyball team defeated the Alvernia University Wolves in a 3-0 victory to conclude the season. The women’s team will finish the season with a 11-19 record. 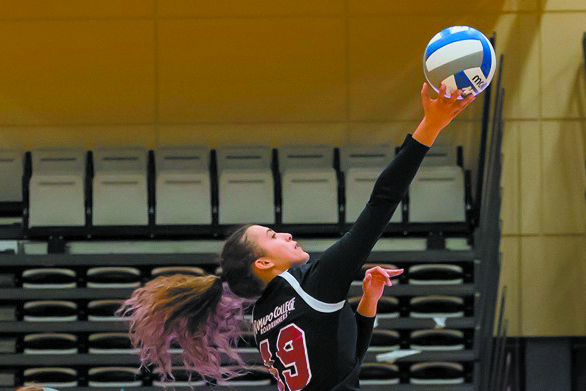 The (25-20, 25-19, 25-16) match helped Ramapo solidify a strong backend of the season, having now won five out of their last six games and having accumulated seven of their total season wins since the start of October. Ramapo junior, Morgan Ridgway, forwarded the victory with 14 kills on 22 attempts against only two errors. Ridgway will finish the season as the statistical leader in kills for the Roadrunners with 298. Ridgway also contributed six digs and one ace, one assist and one block rounded. Ridgway’s 338.5 points this season had also led the team including adjusting for the point to set ratio which she led at 3.32. The 91-point difference between Ridgway and second place would be seventh on the team in points by itself. Felicia Jimenez followed suit with seven kills of her own while Aniella Bednarz led with four combined blocks, three of them solo to disrupt the Alvernia attack. 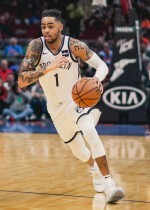 Bednarz’s blocking prowess this season also comprised a considerable share of Ramapo’s numbers. Leading the school with 71, Bednarz was only six total blocks higher than Samantha Main, but had more than twice as many block solos and more than the rest of the Ramapo team combined. Sara Correa and Kate Shirkey each distributed 13 assists. Correa and Shirkey have maintained such a pace all season long as the two have combined to generate 84 percent of the Ramapo assist total. Shirkey finished the season with 488 assists, bringing her total to 1,652 in her Ramapo career. With this, Shirkey has vaulted herself past Ramapo alumni, Lindsey Weston, for fourth all time in assists in the history of Ramapo women’s volleyball. As a team, Ramapo registered 32 kills to Alvernia’s 25. Alvernia’s Olivia Frutiger recorded 10 kills and 11 digs in the defeat. Erika McKee led the Wolves on defense with 16 digs. Ramapo started each of their sets with commanding leads before Alvernia fought to climb their way back. The Roadrunners found themselves at 7-0, 5-1 and 10-2 runs to start in each respective set. Despite several Alvernia comebacks to create ties mid game, the Roadrunners only found themselves in a deficit once, which was a modest 0-1 to start their third set. Ramapo’s season ending record stands at 11-19 which is the first non-winning season since 2013 where they broke .500 at 16-16 and it is their first losing season since 2012 the year prior at 13-14.